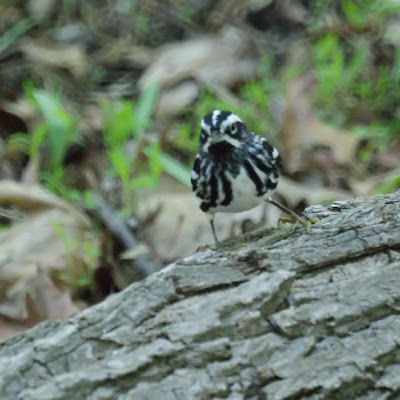 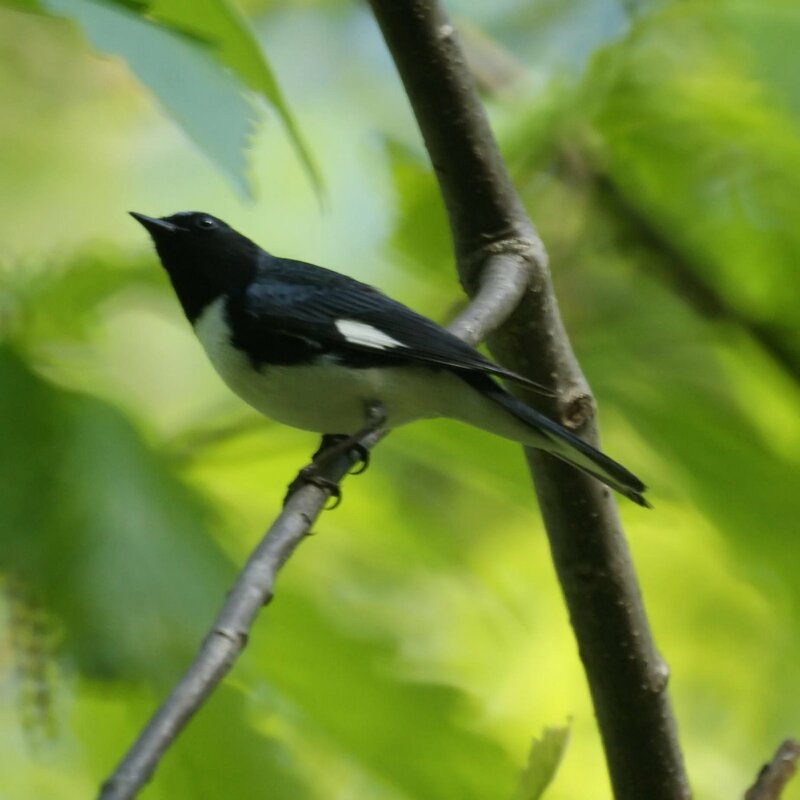 Garret Mountain in West Patterson is a good place to see many migrating warblers in the Spring. We went on Saturday and saw several of these darling birds. This bird stayed fairly high in the trees and was difficult to photograph. 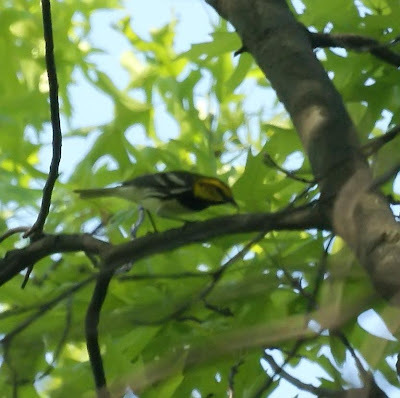 He wasn't nearly as cooperative as the palm warbler. 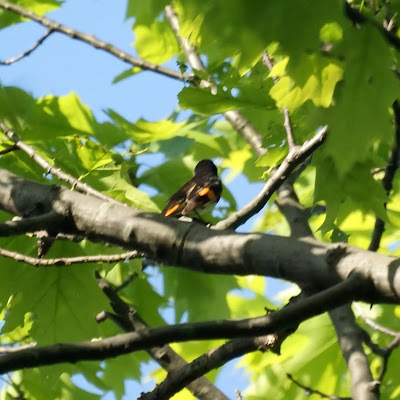 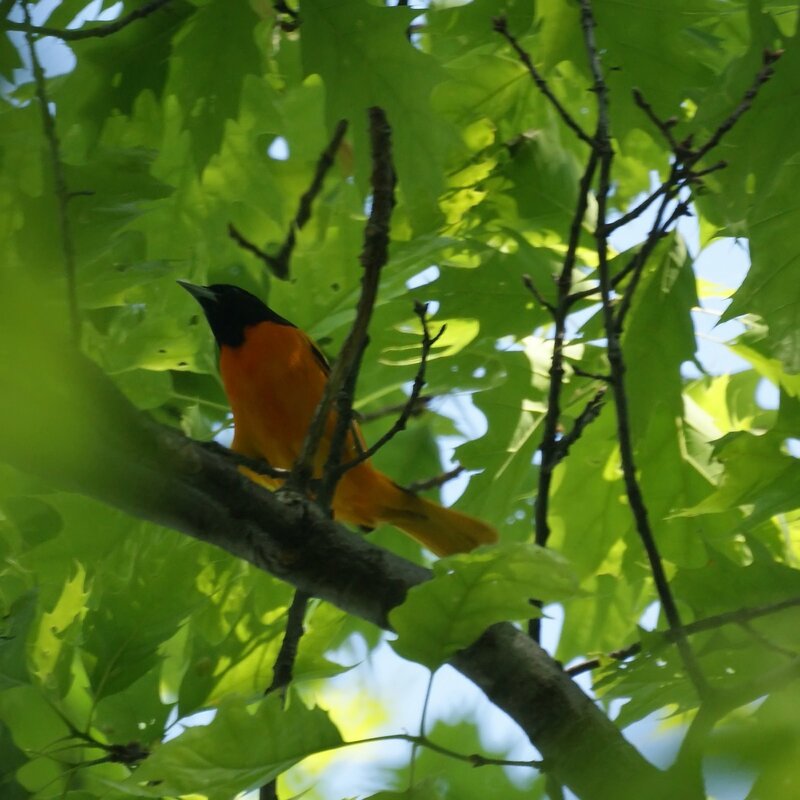 Chris was glad to see her first oriole of the year. We've been hearing some at home but they have not come to the jelly, oranges, or nectar we have left out. We finally did see one in our neighborhood last evening but not in our yard yet. 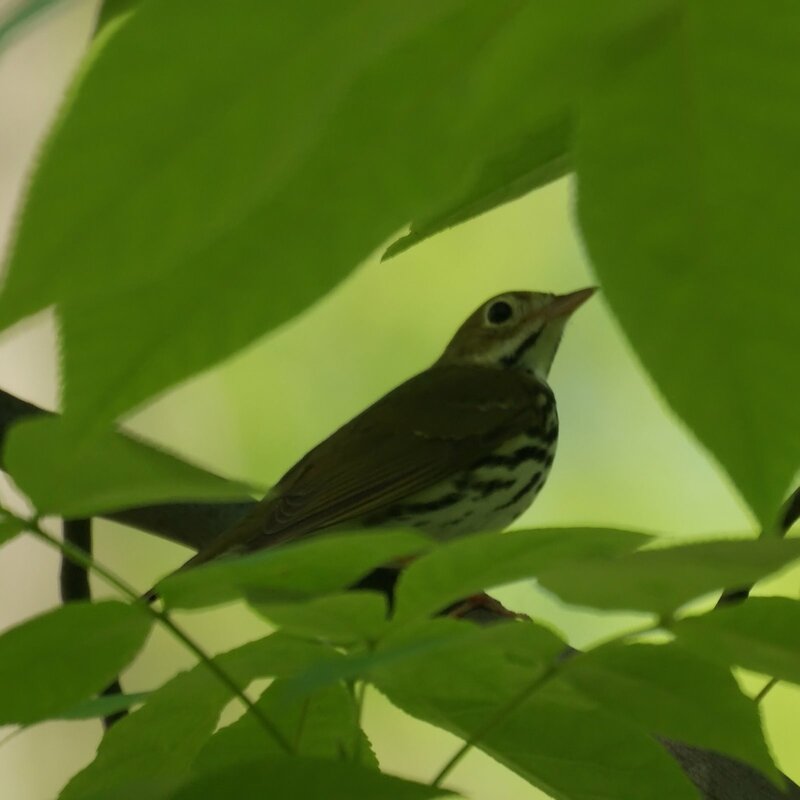 Based on the reddish color of the back, white eye ring, and the amount of streaking on the SIDE of the face, I'd say your unIDed bird is a Wood Thrush. 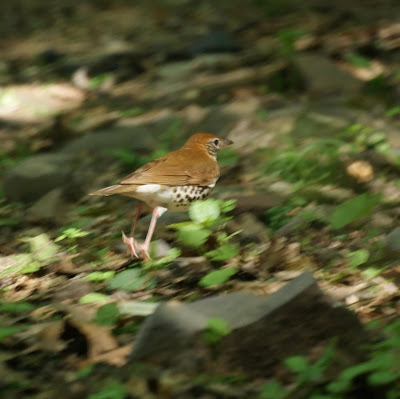 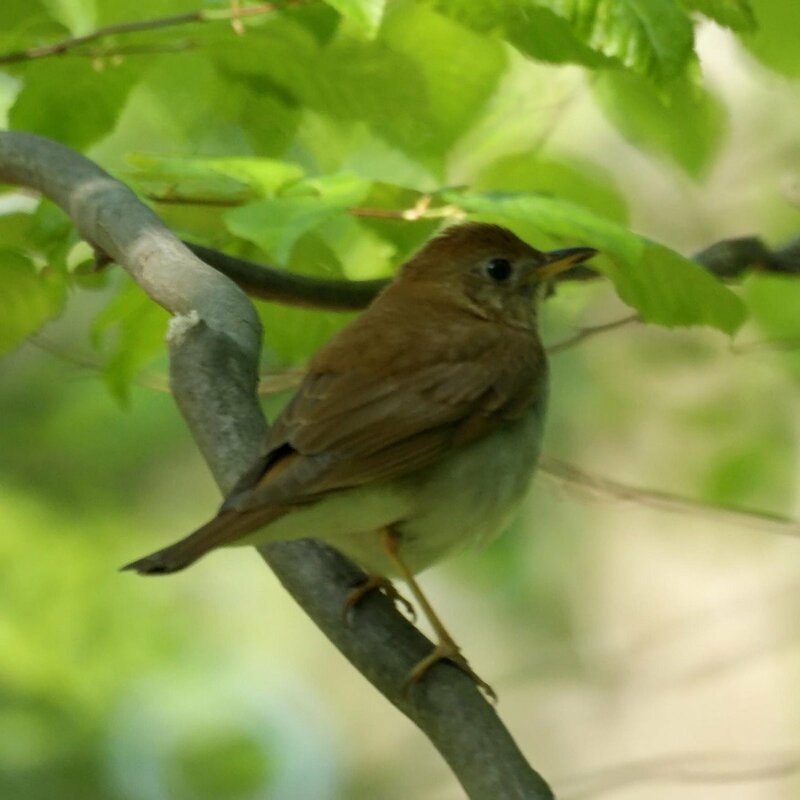 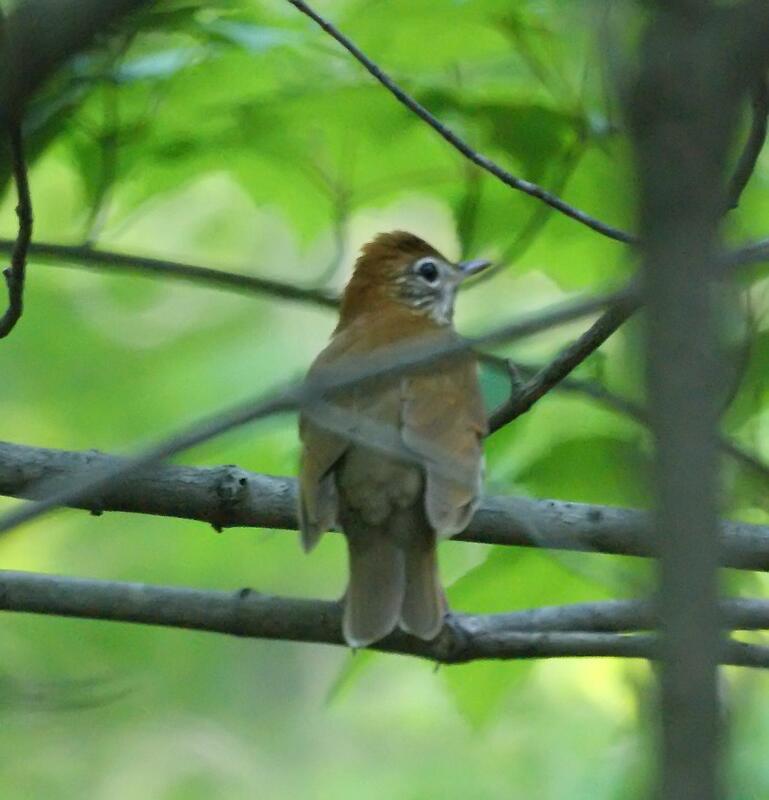 Thanks for identifying the wood thrush.